This article could have begun with an example of Yellow Journalism. A sensational headline bound to attract, opening lines to chill the spine, spicy factoids sugarcoated as facts, an agenda to shame the devil and shocking pictures as icing on th e cake. The only reason of opening it with this quote is to highlight what has become of journalism in present times. But to think better of it, surely the Quran must lay down guidelines for ethical reporting and that ought to form the preamble to this article. Although a list of Quranic principles which could serve as an ethical code of conduct for journalism could be exhaustive, there is one principle that is vital to any such list: Truth. It is to be kept in mind that the canvas on which this Quranic standard is boldly painted is God Consciousness, which is indeed the underlying principle governing all actions of a Muslim. Naturally, the implication of Divine accountability for all our actions must lead to a natural sense of self accountability. O you who have attained to faith! Remain conscious of God; and let every human being look to what he sends ahead for the morrow! And [once again]: Remain conscious of God, for God is fully aware of all that you do. (Quran, 59:18). Truth is a concept that has been repeated in the Quran umpteen times to highlight its importance. Words like “Haq” and “Sidq” have been used repeatedly and all aspects of Truth have been expounded upon in various contexts. The Quranic notion of Truth is absolute, ultimate and definitive. Indeed one of the names of Allah is “Al-Haq”. The Word of Allah, the Quran, is an absolute truth, being a criterion to judge between the true and the false. The Messengers have been sent to guide to the Truth, validate and establish it. Believers are acceptors, upholders, adherents and supporters of the Truth. Truth has been likened to as the light while falsehood as the dark. Death, the Day of Judgment, the Hereafter, Paradise and Hell are expressed as being the ultimate Truths. Truth is, indeed one of the central themes of the Quran and thus one of the basic tenets of Islam. 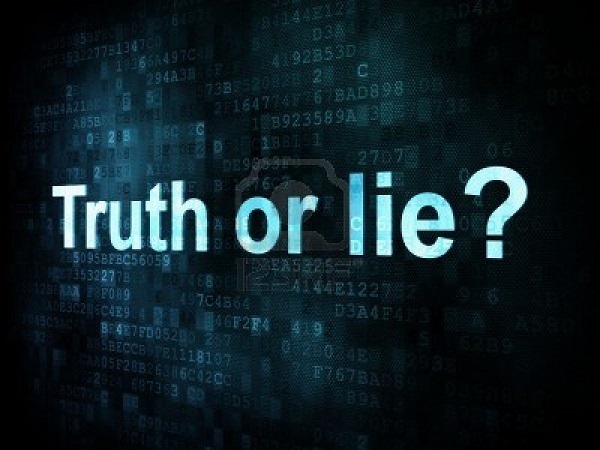 Once Truth assumes the place of one of the guiding beacons in Islam, its role in an Islamic Society or amongst Muslims becomes doctrinal and it assumes the foremost place in the Islamic code of conduct. Thus, by application, accepting, professing, adhering, supporting, expressing, searching, spreading, upholding, validating, establishing, manifesting and revealing the Truth is part of the Muslim way of life and its manifesto. Linking up with reporting and journalism, Truth is the one fundamental principle that translates as the prime objective of journalism. Accurate, uncompromised and unaltered reporting of Truth with no strings attached. Truth has to be the scarlet thread of all reporting. In this era of information operations it is necessary to elevate reporting and free it from the shackles of the overall information strategy which tends to subjugate it to the role of a mere tool for the extension of a grader schema. This is only possible when the prime objective of reporting is the broadcast of Truth. News has to be authenticated before being broadcasted and the responsibility lies on the reporter to confirm the accuracy of a report before spreading undue fear or thrill. Confirming a report’s authenticity is necessary lest that report causes damage or unwarranted loss. Reporting should never be speculative or based on mere conjecture. A part of the truth or incomplete facts should not prompt to jump to conclusions or lead to fanciful thinking. However, it is to be kept in mind that the responsibility of communication of Truth does not rest with journalists or their kin alone. The overall system has to be tailored so that Truth can flourish and can be freely propagated. O you who have attained to faith! Remain conscious of God, and [always] speak with a will to bring out [only] what is just and true. (Quran, 33:70). Guesswork, spying, slander and backbiting are all vices to be avoided. No paparazzi spying on celebrities. No speculation on what someone might have done. No unfair means to make glitzy headlines. No debate on the meaning, constituents, form, nature and context of Truth, as what Truth means is clear. No indirect implications, subtle insinuations, hidden agendas, prejudices and ulterior motives. No incorrect, adulterated, partial and extra-contextual quoting from sources or references. No factoids, semi-truths or pseudo-truths and one sided coverage No fear of repercussions, pressures of protagonists or antagonists. When there comes to them a matter, be it of security or fear, they broadcast it; if they had referred it to the Messenger and to those in authority among them, those of them whose task it is to investigate would have known the matter. (Quran, 4:83). O you who believe! if an evil-doer comes to you with a report, look carefully into it, lest you harm a people in ignorance, then be sorry for what you have done. (Quran, 49:6). O you who have attained to faith! Avoid most guesswork [about one another] for, behold, some of [such] guesswork is [in itself] a sin; and do not spy upon one another, and neither allow yourselves to speak ill of one another behind your backs…. (Quran, 49:12). Can you, then, hope that they will believe in what you are preaching – seeing that a good many of them were wont to listen to the word of God and then, after having understood it, to pervert it knowingly? (Quran, 2:75). Truth is indispensable when it comes to reporting and journalism. Imagine an era of journalism where the golden principle of Truth as illustrated by the Quran form a code of conduct. Where media is free from its inherent evils because of adherence to the cardinals of Truth and honesty. Where no color can be ascribed to journalism signifying its ills. Where conscientious and conscious reporting is the norm and Truth is the only ulterior motive and hidden agenda and is clearly manifest. The hope for such an era is not Utopian, not in the least for Muslims. Owys Zemir is an engineer by profession and a poet & writer by passion.